What kind of Ficus? Tiger bark? Pls. help to identify. The leaves can reduce into very small. Thank you and God bless. Re: What kind of Ficus? Tiger bark? To me they look like Ficus microcarpa, the Banyan fig, but there are about 900 species of Ficus trees. Disgusting I know. It will help if you tell us where you from, and where does the trees come from, they are quite beautiful. i'm from philippines. thank you so much for your response. This is the tiger bark variety? what do you think? thank you. but I think the Tiger variety has got white lines across. Those on your tree are lenticels. The 1st and 3rd pic leaves looks like "green island ficus" to me but not 100% certain. Jong, Just to clarify that green isle/green island is a variety of ficus microcarpa. I dont think there is a Ficus nana. Nana is latin for small. you get varieties of nana, but not really species that is called nana, unless there is somebody called Nana, . Like Ficus burt davidii var. 'nana' or Ulmus parvifolia var 'nana'. Probably Ficus microcarpa 'nana' ? 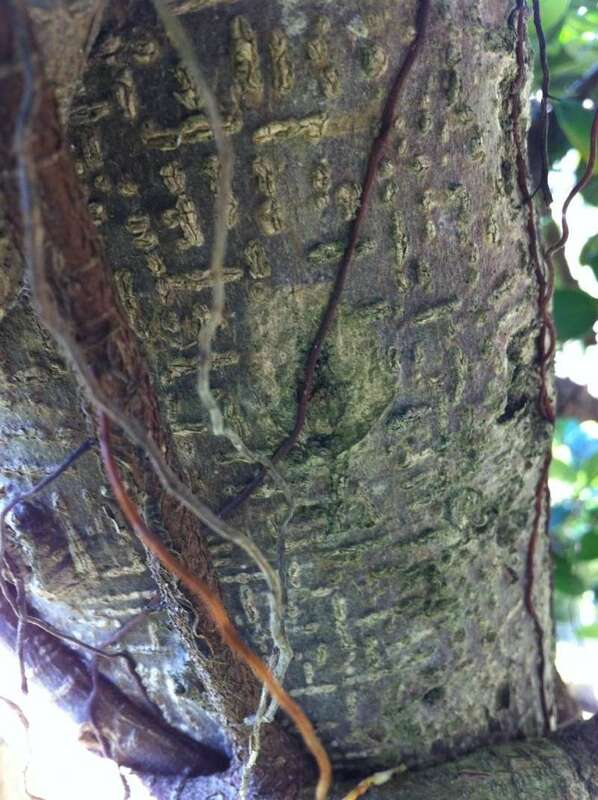 This is Ficus microcarpa, var. Taiwanensis, oval leaf variety. There is another sub-species with a round leaf. This type is seldom used as bonsai in Taiwan, while the cultivar with the rounded leaf is preffered. In the plant trade, it is sometimes reffered to as Green Island Ficus or Ficus Panda. On another note, the round leaf form is superior, exhibiting nice fruit and compact shape. Ryan and Dario, I think you are correct. That's what's sold as F. m. 'green island', here in the States. Don't have a clue what it's called in other parts of the world. Hmm... the plot thickens. Out of my comfort zone here, so I'll let the tropical guys duke this one out. Russell Coker wrote: Hmm... the plot thickens. Out of my comfort zone here, so I'll let the tropical guys duke this one out. LOL, me too...both JLR and KP know their stuff!!! Honestly, this is the first time I heard of "ficus nana corner". The record derives from WCSP (in review) which reports it as an accepted name with original publication details: Blumea 22: 306 1975. Full publication details for this name can be found in IPNI: urn:lsid:ipni.org:names:583854-1. Edred John Henry Corner FRS (12 January 1906 – 14 September 1996) is the name of the botanist who published it. How is your knee, I hope its ok now. I am still waiting for the list of botanical names of trees used for bonsai. 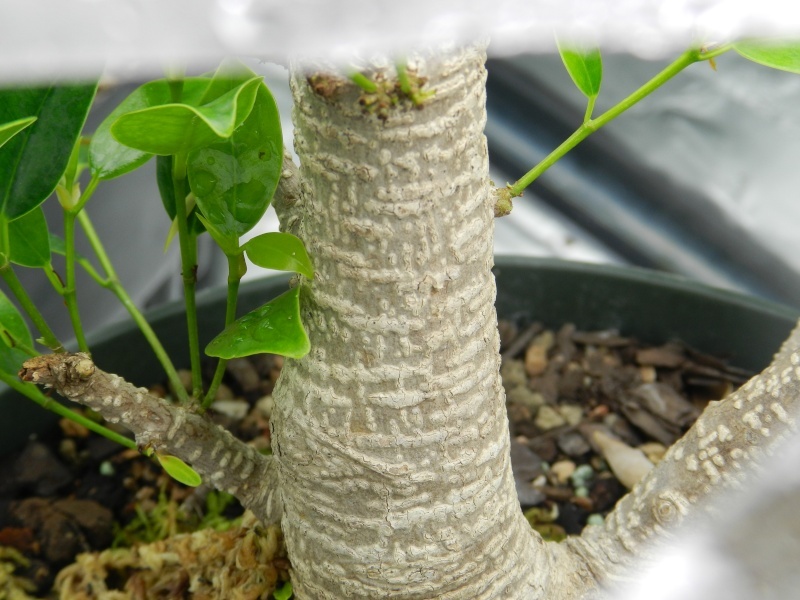 This are''green emerald'' branches grafted on a ficus microcarpa trunk. They use the green emerald variety for the leaves and the microcarpa for the trunk since the green emerald its a weeping variety growing mostly like a garden juniper .